Hermit crabs have soft bodies and need to adopt abandoned shells for protection. 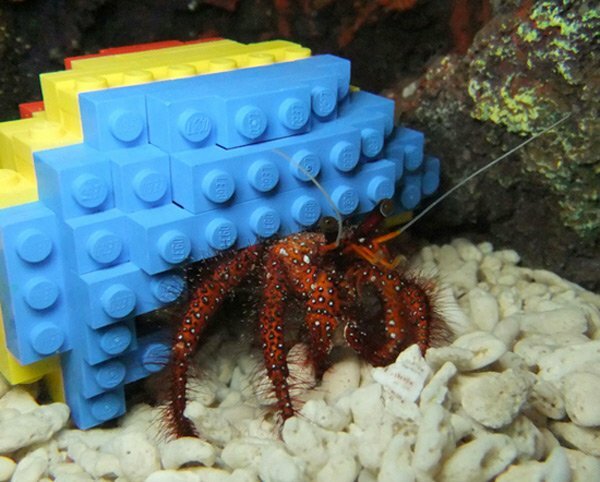 Harry, who lives in a rock pool in LEGOLAND UK, recently crawled into a shell made out of LEGOs. It’s well known that LEGOs aren’t just for kids and Harry chose the LEGO shell over a bunch of other sea and snail shells available for his perusal. Initially, the builders weren’t sure that Harry would move into the custom shell, but now he seems quite comfortable in his new home. If there is ever a shortage of shells in the wild, we know that now they’ve got an inexhaustible supply, thanks to LEGO maniacs everywhere.